Beehive Property Management welcomes you to Big Sky, Montana, the real wild west! Your gateway to Yellowstone National Park and the BIGGEST skiing in America at Big Sky Resort. We are one of the largest locally owned Vacation Rental Management companies in the area. 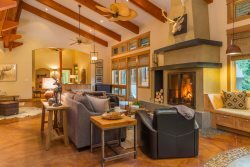 Our portfolio ranges from ski in/out family sized homes to charming condominiums within walking distance of Big Sky Town Center. We specialize in stress-free, seamless transactions with our guests; we keep the focus on your adventure and helping you create lifelong memories. Our team is compiled of locals who love to adventure, and are available for anything you may need during your stay 24/7.